I totally meant to blog about this guy. But I can't think of anything to say that hasn't already been said. Math is awesome. Gay people are awesome. 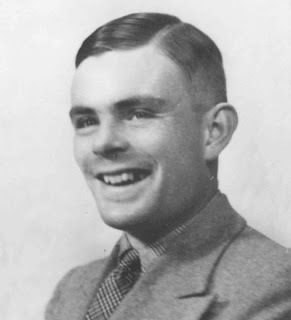 Alan Turing is therefore super awesome, and the British government is pretty cool too for acknowledging that they screwed up. I am proud that those days are gone and that in the last 12 years this government has done so much to make life fairer and more equal for our LGBT community. This recognition of Alan’s status as one of Britain’s most famous victims of homophobia is another step towards equality and long overdue." Only in Europe, East Asia and Australia would that be possible. The US is far to conservative to let such a thing transpire. In other words: England rocks! England rocks! Hello Great Britain!